A GARDA SERGEANT based in the western division was formally cautioned by his superior officer after lobbying local TDs to fix a dangerous stretch of road. The garda sergeant has been described by other members as a “staunchly proud community man” and has been trying to get the government to invest in a particularly dangerous junction on the N4 in the Sligo area. He is not based in the Sligo district himself. However, when the member’s superior officer discovered that the man met his public representative in the Dáil, he was disciplined. The senior garda claimed that the discipline was because the officer breached rules which state that members are obliged to inform senior officers if they are to meet with public representatives. The garda at the centre of the disciplinary action claimed he was not operating in a professional capacity when he approached the deputy. He is said to be devastated by the resulting disciplinary action. Gardaí said they don’t comment on internal disciplinary matters but it is understood that the discipline amounted to a formal caution. 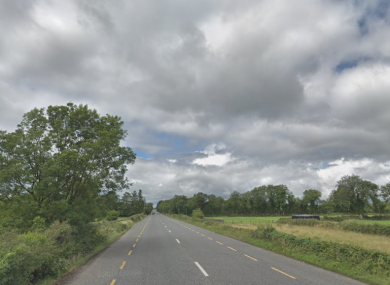 Earlier this month, it emerged that a section of the N4 from Collooney to Castlebaldwin in Sligo, which is just 15 kilometres long, is to be upgraded at a cost of €150 million. Transport Minister Shane Ross said the stretch of the road is “notoriously dangerous”. Between 1996 and 2018, there have been many serious collisions and fatalities along the section of the roadway. In that time period, there has been nine fatalities, 10 serious injuries and 81 minor accidents. The existing stretch of road has no opportunity for safe overtaking for 90% of its length. The N4 route currently brings all traffic through a badly aligned narrow single carriageway road with a large number of minor junctions. TheJournal.ie sought clarification from the Garda Press Office in relation to rules regarding members of gardaí speaking with local TDs. However, it said it was not commenting on anything which related to internal discipline. Email “Garda sergeant disciplined for lobbying local politicians to make road safer”. Feedback on “Garda sergeant disciplined for lobbying local politicians to make road safer”.